Those who essay to be the bride at every wedding, may well end up being the corpse at every funeral. RATHER unexpected, I receive late in the day a top-secret provisional invitation , to appear on the television slaughter programme Celebrity Big Brother. I am emailing you on behalf of Endemol Television to find out if you'd be interested in taking part in Celebrity Big Brother 2009 which is scheduled to start on January 2nd and run for 3 weeks. If you would like to explore the possibility then let me know as I'd be happy to set up a meeting with our Executive Producer. Yes I can make those three weeks available. I do not watch the show, and later on, in due course, I would be grateful for a brief summary. I have a vague notion that one does not emerge unscathed. The first word, Celebrity, is flattering, but Jessica advises against, reminding me that every person appearing on it has been slaughtered. But financially they have made a killing too in most cases, I reply. TONIGHT I have to attend M's little dinner; I shall go in the hope of chatting about the law with Adrian. I watched the film three times on Sunday with two friends, and we were all deeply impressed. Not only was the quality so good, but the lighting and background selection [Library at Chatham House] were brilliant, and the topic was interestingly conveyed and researched. Even I was taken aback by the quality of my arguments! You really put me at my ease. Could I sometime buy a stack of copies from you at a suitable price for resale please? Let me know if and when the film gets a public airing. I drive into London in the evening after posting another thirty boxes of books, catching up with the backlog, and arrive at M.'s on the dot of seven. Bob phones with the disturbing news that British police arrested Fredrick Toben (right) at London airport on a European Arrest Warrant (Germany being the culprits) as he was changing planes. I don't much like him, but this is wrong. An Australian newspaper describes: "It is alleged between 2002 and 2004 Toben published online material of an anti-Semitic and, or, revisionist nature deliberately contrary to historical truth." A pleasant dinner, well served. M. shows us the first half of her filmed interview with my defence counsel in Austria, Dr Herbert Schaller. Surprisingly good, though the sound needs working on. I provide expert translation assistance, though as God knows, legal Austrian-German is a tangle of verbiage. I INTEND braving the congestion charge and attending the Westminster Magistrates Court at Horseferry Road two pm tomorrow, in the public gallery if I can get in. The Toben case fills a lot of newspaper space. He is accused of racism and xenophobia, and of putting anti-Semitic opinions on his Internet website. And why shouldn't he, I ponder. Are these people to be protected from hostile criticism? Eternally protected, regardless of what they do? A criminal offence to criticise them -- an extraditable offence? My friends email me from Tennessee: "Meanwhile, the DVDs are on the way to you. I did very little to the content - only took out the idiotic introductions by people who either can't speak English or just drone on and on." I reply: "Always a good idea. I recall one painful evening in Cape Town where Clive Derby-Lewis, now on death row in Pretoria (but he will never be hanged), droned on and on for an hour 'introducing' me to my huge audience, oblivious to the fact that hundreds were getting up and slinking out!" An Australian stranger emails me about the Toben case, furious at the news. I reply: "Thanks Michael; the traditional enemies of free speech don't realise that every time they have a 'victory' like this it is another nail in some future coffin." A Proverb occurs to me: Those who essay to be the bride at every wedding, may well end up being the corpse at every funeral. Lovely sunny but chilly day here today, sun streaming across the lawns, gardener mowing them, just took a lobster soup out to him and some crackers. I write to M.: "The two books were twenty pounds each, and now I have my glasses on I see you gave me a cheque for twenty... My mistake or yours? I don't think there's much we can do for Toben, other than offer moral support in Court, and say farewell for five years. Who's next?" From her reply it seems she thinks I gave one copy of Banged Up to her last night. I correct her: "On the spare book, an obvious misunderstanding. Bring it to court tomorrow if you're coming please. We really cannot afford to give books away. A common misconception about professional authors." I DEAL with book orders until nine-fifteen a.m. At eleven a.m. I drive into Chiswick and London, ... then on to Horseferry Road magistrates court for the two pm extradition hearing against Fred Toben. M. has brought the copy of Banged Up back to me. I donate it to David Palliser of The Guardian, one of their more illuminated writers. He professes to be impressed that I am carrying their newspaper (which he now tells me has a diary item about Banged Up); in fact I have bought the newspaper outside, "for optical reasons," as the Germans say. Richard is there, and good old Arthur Flinders and the lunatic screw-loose man who always weasels his way in and tries to hand out leaflets at my functions. Toben has only just hired a solicitor Ben Watson on Legal Aid, minutes earlier; Watson is very good; he stands up to the magistrate, District Judge Nicholas Evans, very well. The courtroom is packed. There are no empty seats and a lot of public there. The two Lithuanian thugs whose extradition cases are heard first appear baffled at the attention shown to their plights. I sit inadvertently on a press bench seat, and hear my name whispered along the benches behind me. The Magistrate is not inclined to allow much debate on the law in this case, saying that the European Union has ruled out any defence based on "dual criminality" -- i.e. that he can be extradited even though the alleged offence is not a crime in Britain -- and since Toben had allegedly fled Germany before, having been granted bail, it was useless for his solicitors to apply for bail for him this time. I don't know the rights and wrongs of that. DAVID IRVING: I think it's a contagion that's going around the world. It began in Australia, it began in Canada. They're suppressing free speech where it really matters. I think if you have one version of history that is government approved then all society suffers. It's the job of us, the revisionist historians, to ask questions, even if they're awkward questions, questions that governments don't like. And if some of us have to go to prison in the meantime, then it's tough on us but society in the long run will benefit. STEPHANIE KENNEDY: Do you think the magistrate gave him a fair hearing today? 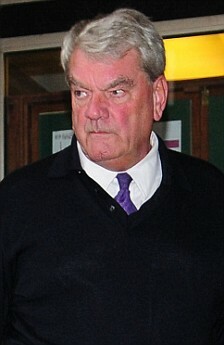 DAVID IRVING: He came before one of the magistrates who is one of the least friendly magistrates in London. He's a bully, this magistrate, and he showed it in court. I think the magistrate is very loaded, and if he is the magistrate who hears the actual case then I don't think that Toben is going to avoid being sent to Germany where he'll be put before a kangaroo court of course, which is appropriate for an Australian. STEPHANIE KENNEDY: How well do you know Dr Toben? DAVID IRVING: I've met him once or twice. We have different locations. He's on the other side of the globe from me. I write books, he doesn't write books. He's an agitator, I suppose you can call him if you're going to use a word. STEPHANIE KENNEDY: Do you know much about his writings? DAVID IRVING: Yes, and I disapprove of some of it. STEPHANIE KENNEDY: Why is that? DAVID IRVING: I think that he's not nuanced enough. As a historian I do a lot of work in the archives and I write what I find in the documents. He writes what he finds in his brain. STEPHANIE KENNEDY: Are you going to put up some sort of surety for him? DAVID IRVING: Yes, I've said that if the court were to release with him he can come and stay with me and I will personally guarantee that he comes back to the courtroom on the appointed date. STEPHANIE KENNEDY: So what about money? Can you put up any money for him? DAVID IRVING: No, (laughs), Jesus. 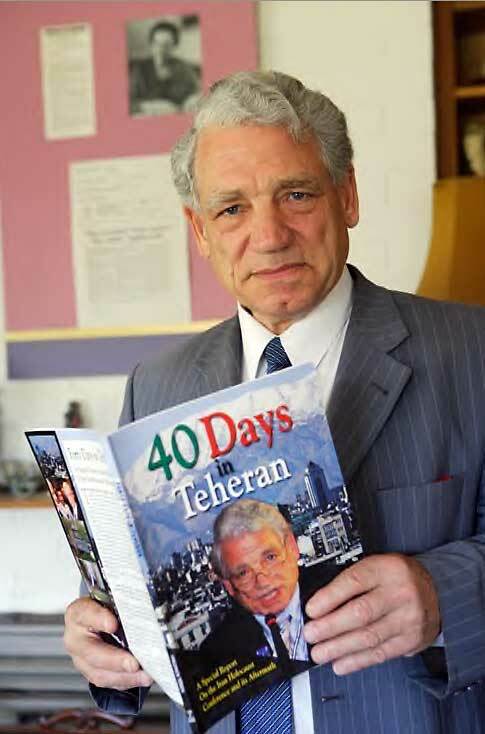 When I was arrested by Austria I was imprisoned for 400 days in solitary confinement. When you come out of that ordeal you've lost everything, you've lost your home, you've lost your possessions, you've lost your books you've lost your contracts. You've lost everything you had. You have to pick up the pieces and start all over again. STEPHANIE KENNEDY: Do you think that in the end he will be extradited to Germany? DAVID IRVING: Yes, I think he will find himself before a put-up job, a political court in Germany. This is, what scandalises me is that this is obviously a political offence that he is being charged with, and you cannot be extradited for political offences. This used to be one of the great securities of the human rights. But under the legislation in Europe now people who criticise aspects of holocaust history are denied the protection of the Human Rights Act in Europe. This is one of those exclusions that applies. Remarkable. Every time it says some exclusions apply, it always seems to apply to you. It certainly applies to me. I make plain, without belittling him, that I do not support all of Toben's views, but that I am there in defence of free speech and everything that England once stood for. I will go back for the October 17 court hearing, which should be interesting, if not for poor Fred. It will be an afternoon of interesting legal argument. He looked subdued this afternoon, in the Adolf-Eichmann style glass cage, but was respectable in a suit and tie, and spoke briefly to the Magistrate through the slits in the extraordinary bullet-proof glass partition that now seem to be de rigueur in British courts. I do not see how he can avoid being railroaded back into Germany and handed a five-year jail term. I am at the Shell station at the Hammersmith flyover when Jessica phones, would I like to have dinner with her? The Daily Telegraph and Daily Mail websites publish surprisingly good reports late in the evening, but the latter's piece is changed an hour after midnight to a full-frontal smear, no doubt on the advice of their advertising department. PEOPLE send me the latest links on the Toben hearing. The Daily Mail's piece is now so vicious that I send them my standard warning letter. What is it with these newspapers! The Mail's no doubt youthful journalist Rebecca Camber has even interviewed a British soldier who stormed the beaches of Normandy, doing so on June 4, 1944 she says (two days before the rest of our Allied Armies!) I am surprised that he did not get a hotter reception. But now the Huns seem to have won -- won the right they failed to win by passage of arms in 1945: the right to dictate to us English in our own homes what we can say, and write, and even think.